Good morning, everyone! I hope ya’ll are rested back up from your weekends and ready to take on, yet again, another dreaded Monday. If you read my post last night, I talked about a nail kit that I had gotten for my birthday and how I’m going to do a whole blog post dedicated to it because there’s actually alotta stuff in that kit and I haven’t forgotten about posting that, don’t worry! I’ll post it later this afternoon, so be sure to come back a little later. But this morning, I’ve got some very, very exciting news to share with you! 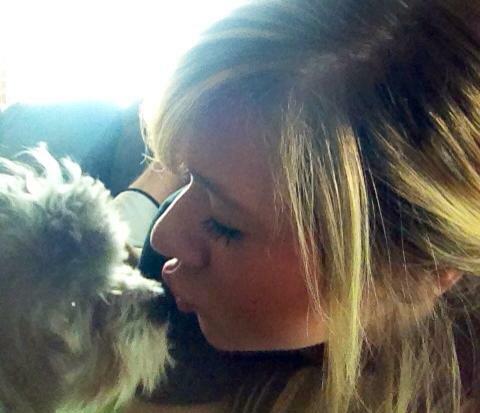 I know what you’re thinking and, no, I’m not pregnant, nor am I engaged… yet. haha But it’s still pretty exciting news! But anyway, our move up to Bloomington is the reason I had to stop taking clients. Bloomington is about 45 minutes away from where I live and do my makeup work now and, while that’s not really far at all, I just wouldn’t be able to drive up here several times a day and then back again. But anyway, the reason I’m moving and the reason I’m writing this blog post is….. drum roll for this exciting news, please…. I’ll be attending cosmetology school later this year!! That means that I’ll officially have my license (in most states, you can still do freelance work without being licensed) and that really just opens up the door to so many other new opportunities outside of my current freelance work. I love being a makeup artist and i wouldn’t trade the years I spent doing it for anything. But I feel that as I grow up, I need to be looking at jobs that will offer benefits, better pay, etc. So, as heartbreaking as the decision to stop doing my freelance work for awhile is, I’m so excited for what’s to come. Let me tell ya a little bit about my school. 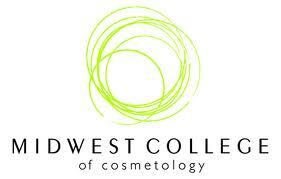 (: It’s the Midwest College of Cosmetology, so it’s actually not a school, it’s a college. It collaborates with the local colleges around it (Illinois State University, Heartland, Lincoln Land) and MCC offers courses in business management, health services, sociology, and psychology on top of your cosmetology, esthetics, or massage therapy classes that you’re already taking. All that means is basically that, while you’re earning your beauty license, you can also earn a bachelor’s degree, so that’s pretty cool! Obviously, I’ll be going into an esthetics program which will teach me massage basics, facials, waxing, and makeup application. Right now, I don’t think that I’m going to work towards getting the bachelor’s degree that they offer, but it’s really nice to know that I will always have the option to fall back on in the future! ← Sunday Chit Chat & Birthday Haul!